This is an item I've seen spring up on Instagram heavily over the past month, I was particularly inspired by how unbelievably cool Charlotte Jacklin and Alex Stedman looked in theirs and immediately ran to ASOS to purchase one. 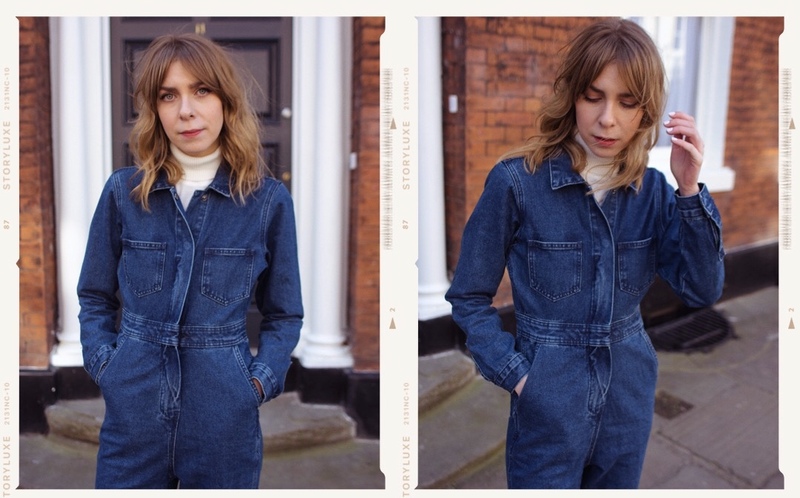 I'm a sucker for the comfort and versatility that dungarees bring, and especially enjoy the toddler like aesthetic, but thought that a boiler suit was just one step too far and wouldn't suit my feminine style of tea dresses, ruffle neck blouses and floral prints. Au contraire! Although I do dress very femininely, I always like to add a masculine, tomboyeque vibe to an outfit - whether it's a biker jacket, a pair of Dr Martens or an oversized Levi's jacket. I just had to reverse this way of dressing to find my own way of styling the boiler suit. I wore a turtle neck underneath (classic), a pair of striped socks (which I didn't realise would be quite so visible but enjoyed how they turned out anyway), and my Adidas Stan Smiths. I was shooting with boygirl agency which began in the Northern Flower shop in the NQ, Manchester. 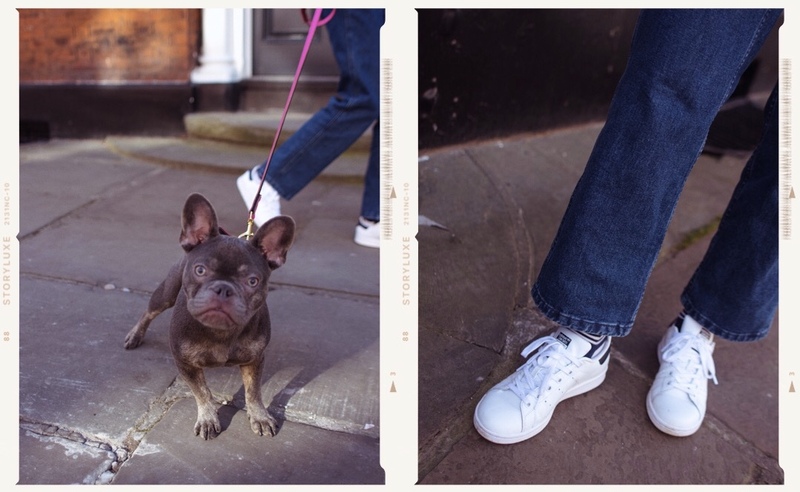 I loved how the pop of pink tulips brighten up the outfit and as if by magic, the most adorable little dog walked past and we immediately asked if we could borrow her for a few snaps. Her pink lead matched the flowers perfectly and I adore how the photos turned out! I'm pretty sure I'll be wearing this a lot in the coming months, and have even considered a white denim boiler suit for summer - but I fear chocolate ice cream + white + one very clumsy lady = disaster. Oh my gosh! That dog is so cute! How fun!